Finish: MULTI: A timeworn saddle brown (BRN) that is paired with an anthracite black with light dusty-wax hang up (BLK) to create a two-tone finish that is as authentic as the countryside from with it emanated. The custom-crafted hardware in an aged pewter finish has shaped back plates and is inspired by hand-wrought ironworks from Texas Hill Country. 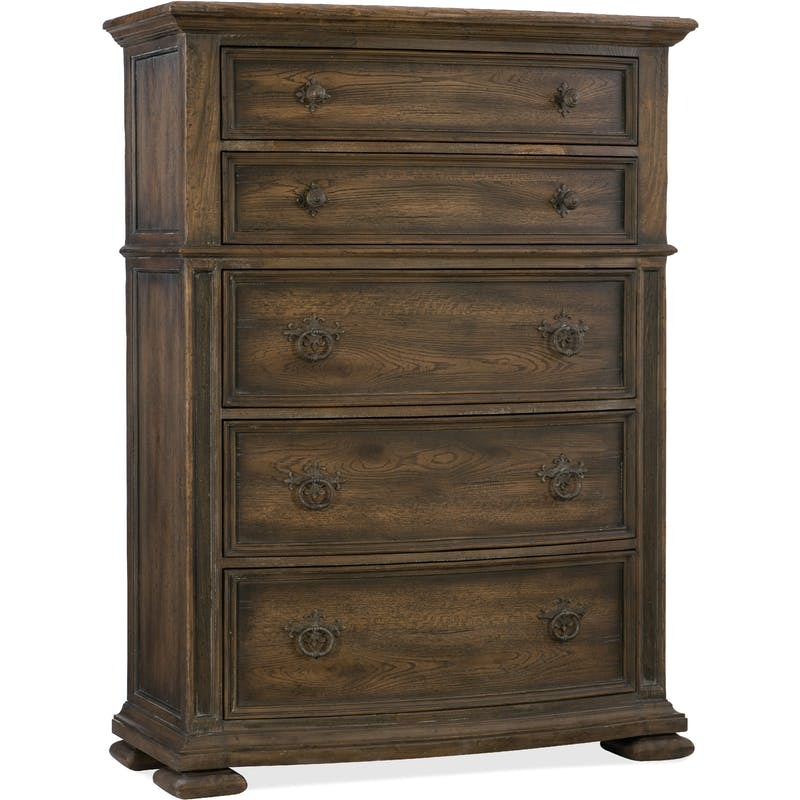 Click here to receive email quote for Gillespie Five Drawer Chest item.